In my experience with going there, Tim Hortons is an establishment that seems to be staffed sith and patronized by working class people. As opposed to Starbucks, which seems to be staffed and patronized by middle class people. This is not to say that one class is better than another, but there appears to be this class distinction that differentiates them. The blog post linked to above talks about cultural or educated classes, but I think there is a case to be made that this also has to do with economic classes as well as a rural / urban / suburban divide. In terms of rural / urban divide, Tim Hortons has been over time making a move into the downtown core (at least in Toronto), while Starbucks has been slowly expanding outwards (e.g., Sydney, Nova Scotia recently got a Starbucks). Those of you who say you have good taste may say: yes, but Starbucks is better. (And there will be others that say both are terrible and only indie coffee shops have good coffee.) I believe it is better too, though I don’t think Tim Hortons’s coffee is bad. (I have drunk bad coffee, and Tim Hortons is not bad.) I think for Tim Hortons customers, coffee is a hot beverage with caffeine that is good to drink while driving and at work. Having it cost less makes a difference. Tim Hortons advertises that their coffee is fresh: that is the quality it has. Starbucks will talk of their coffee in terms of where it comes from and with terms you often hear wine experts talk about: those are the qualities it has. Your values will determine where you buy your coffee from. By the way, one of the stereotypes was that only middle class people (and pretentious ones at that) drank lattes. Now Tim’s has machines that make lattes and a wide range of milk based coffees too. They may not be as good as those in other places, but they are not bad and they have two other qualities: they are fast and they are lower in cost. Those two qualities are valued by working class people. And working class people like to try things too: they are no different from people with more money and more education who live downtown in the city. Coffee is about class. It’s about the different classes we have in our society that center around money, education, where you work and where you live. Starbucks and Tim Hortons are based upon that as well, though as each attempts to grow more, they are expanding from their class base. As someone who comes from a rural working class background but lives an urban middle class background, I am comfortable in and recognize the value in both. In Canada, we don’t talk about class much, but it is everywhere. Including the coffee shops we patronize. Yes, it’s true. 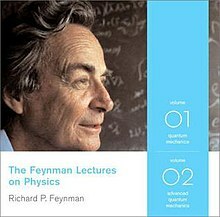 The great Feynman Lectures on Physics are now online. Volumes one, two and three, cover everything from mechanics to quantum mechanics. A must for anyone interested in physics. I’d also recommend it to anyone looking to write pieces on how to explain something technical. https://hub.jazz.net/git/u27275/blm-hello-world-php/) will show you how to bring your own buildpack, and this buildpack will allow you to have PHP code running in Bluemix that also can talk to a MySQL database running in Bluemix. Among the files there is a PDF providing detailed instructions on how to set things up in IBM Bluemix. P.S. This is sample code. See the licence file in the repo for more details. How much sleep do we need? Seven hours? Eight? This WSJ article makes the case that you can probably get by with less than eight. Given the audience of the Wall Street Journal, I am not surprised they would have such an article. For more reasonable people, this article in Real Simple (So Now We Only Need 7 Hours of Sleep? Not So Fast) makes more sense. As I get older I lean towards getting more sleep, but to each their own. Regardless, the weekend is coming up. Get some sleep. P.S. The image, from the wikipedia section on sleep, shows the downside of lack of sleep. And this one from Food52 could be yours. Once you get in the habit of making minestrone, you can really adopt any set of vegetables and beans you have to make the soup you want. Don’t like cabbage? Don’t use it. Out of chickpeas (garbanzo beans)? Use something else. It may not strickly be minestrone if you do, but who cares: it will still be delicious. Needless to say, this is a great way to use up bits and pieces of vegetables in your crisper. It’s the weekend. You could use something to read. Instead of going to the latest books — which are no doubt very good — why not consider picking up a classic and reading it. If you are furrowing your brow at the thought, please take a moment and read Calvino’s argument for why you should in this NY Review of Books piece. One thing that Calvino doesn’t mention is that the classics can be fun. Not all of them, of course, but many of them can be as delightful and engrossing as any book you might find. Whatever your reasoning to select one, here’s hoping you start reading one this weekend. Enjoy!